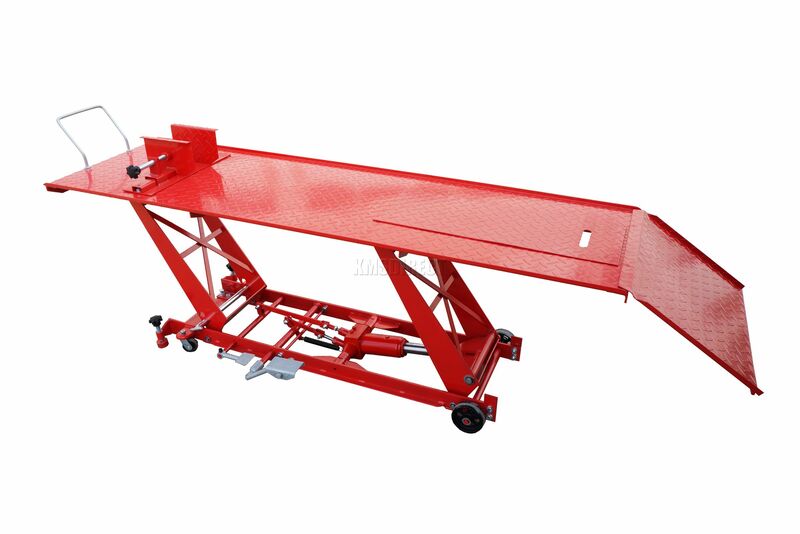 I am on the lookout for a bike lift, what type should I buy and what should I avoid? Is there a good supplier in this country or will I need to go up north or across the water? I would rather buy secondhand but I think most keep them if they have one, thanks all. There's a bar that goes across the bottom of the front lift arms.It's fitted in that pic.It stops the unit from dropping in case of failure. Handy........professional benches are the business..........i you can get a good used one you will have it a lifetime..or just go for the pedal pump hydraulic ones for 500 or less........."chinese" functional thats about it. Too wide and too high when on the ground. I don't want the small scissors thing on that video! Where did you get it and how much? I have on of these also. But its the Sealey made version of it. Managed to get it used on donedeal..!! The minute I saw it I rang your man and leaped in the car.. Ya saw that, €500, bloody expensive. I know but that don't make it cheap!! I bought this one last year. Very happy with it and it was the best price I could see for this quality lift. Worth a look. Yep, made one. All the height I need and I use a mechs rolling stool. What are they like? Any pic?